You are here:Home » Blog » Luxurious and sustainable! 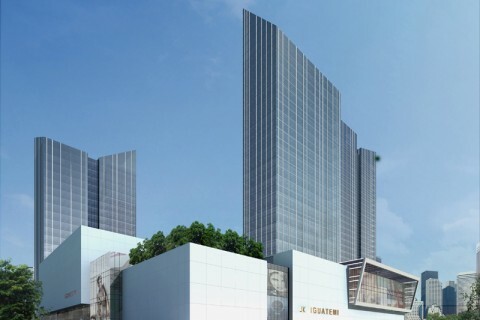 The JK shopping mall is an example of sustainability and its architecture displays luxury. Ecologically speaking, the project saves water and energy, different from others. As an example the system that captures water and reuses it for toilets and gardens and the sensor technology for taps as well, both reinforce the purpose of the project about avoiding wastage. The JK Shopping mall was built to be different not only in relation to energy efficiency, but also sophistication and aesthetics. 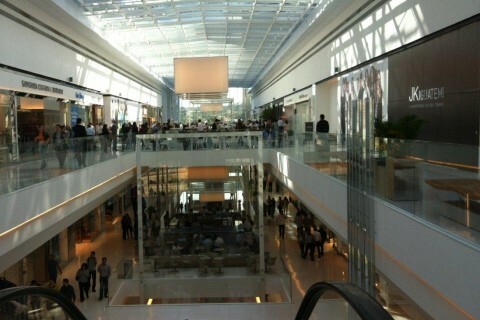 People who have been there know that one of the main features is the natural light that enters inside the mall. The glass facades and the skylights allow a pleasant light transmission, avoiding the use of artificial light. The system is the Ecoglazing: an encapsulated glass (in its entire perimeter) by a HTV (High Temperature Vulcanized) silicone rubber frame, which is an evolution of traditional Strutural Glazing systems, resulting in an unmatched transparency. 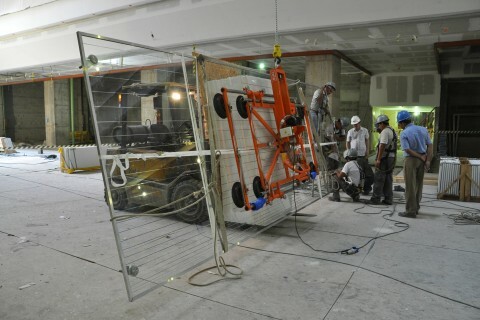 The glass pieces have a double chemical fixation by a structural adhesive and also a mechanically fixation (this system is also used in other projects like the Unique Hotel, Cathedral of Brasilia, subway stations of São Paulo, etc.). In addition, the structure has three levels which were used in the support system of the glass. 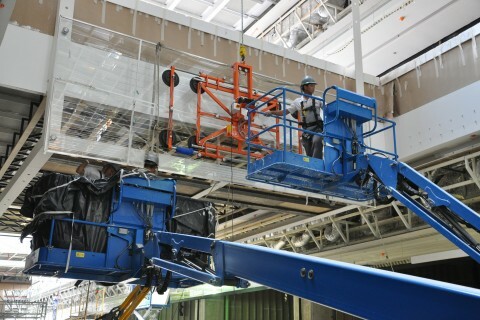 The first structure is the main carbon steel beam and, below the skylight there is a secondary structure, also made of carbon steel, which is supported by tie rods connected to the main beam. And the encapsulated glass is on the third layer of aluminum structure. The structure of three levels gives the impression of being light because the heavy part of the main beam is concealed by the secondary and tertiary structures. 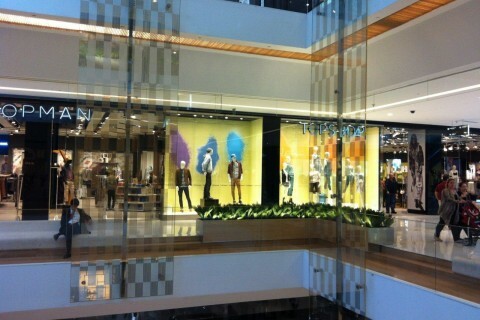 The mall is even more sophisticated because of the cubes and the decorative panels. With approximately 88 pieces of laminated tempered extra clear glass of 6 meters (with silver threads) and 18 pieces of an average measured of 4.50 m (with golden rectangles). On the side of the biggest skylight there are three glass cubes surrounding walkways, forming a rectangular tunnel of 6m deep. The glass pieces of 700Kgs are fixed by special stainless steel screws. The project is innovative with a huge variety of stores, both national and international brands. 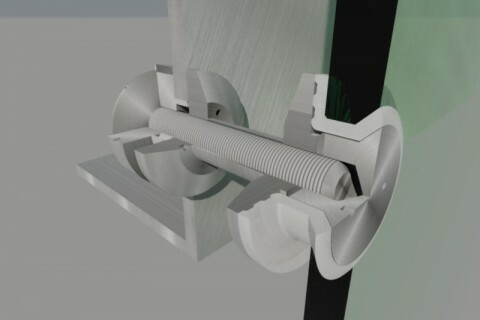 The architecture project delights and innovates. 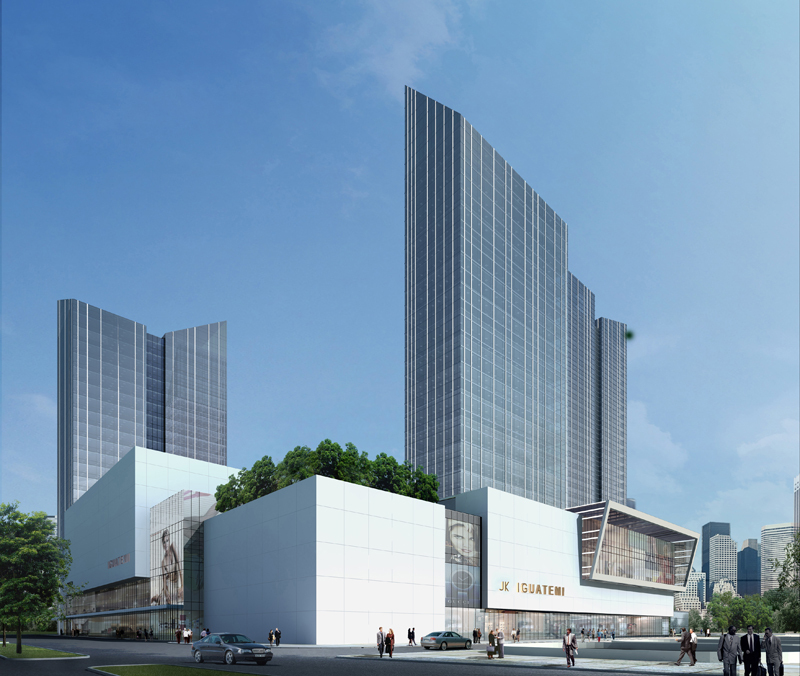 It’s more than just a shopping mall, the JK is a new concept.